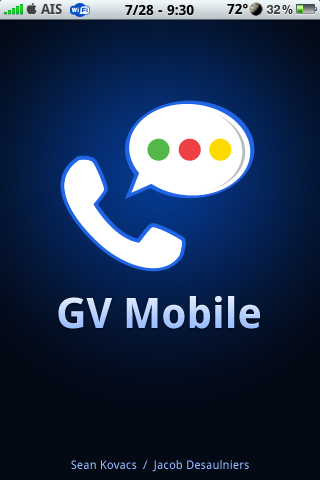 Today, the Google Voice application received an update. The update actually includes quite a few new features and bug fixes however, one of the cool new features is it has integrated support for both the iPad and the iPod touch. It seems the FCC has decided to get involved with the rejection of the Google Voice application by Apple. If you remember, after they rejected the official Google Voice application, they also removed all thrid party Google Voice applications from the App Store (one of which was then released in the jailbreak community). In letter from the FCC, “the FCC asked why Apple rejected the Google Voice application for the iPhone and removed related applications from its App Store. The letter also seeks information on how AT&T, the exclusive U.S. iPhone carrier, was consulted in the decision, if at all.” Below is are the full letters from the FCC to Apple, FCC to Google and FCC to AT&T. Apple has recently started blocking applications from the App Store that allow your iPhone to use your Google Voice account with calls, text messaging, and voicemail. It seems that one developer has taken this to the next level by releasing an app in Cydia for free. 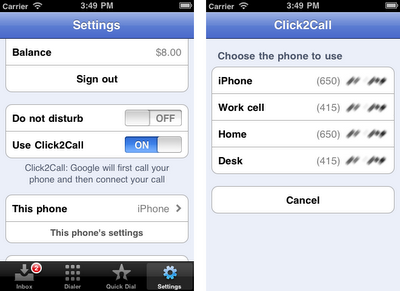 I’d write all about the drama but the fact is, right now, here’s a sweet way to get a Google Voice app on your iPhone. For the record, this app is not made by Google.